And now, the hot new song from our favorite band! Wellington Wells’ own The Make Believes have dropped a brand new music video of their hit single, “La La La”! Give it a watch! Like what you hear? 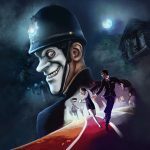 Get the official We Happy Few Soundtrack and Digital Goods Bundle, now available. This groovy digital album includes songs from the game, plus every song from The Make Believes! The Soundtrack and Digital Goods Bundle also includes a host of virtual goodies, including Mobile and Desktop wallpapers, and ringtones! For more about The Make Believes and We Happy Few, follow the official We Happy Few Twitter, Facebook, and Instagram channels!